Hello, dear readers! you're doing crochet these autumn days? I have worked with 4mm crochet hook and wool DROPS PARIS. Look how all look very well together in a garland. 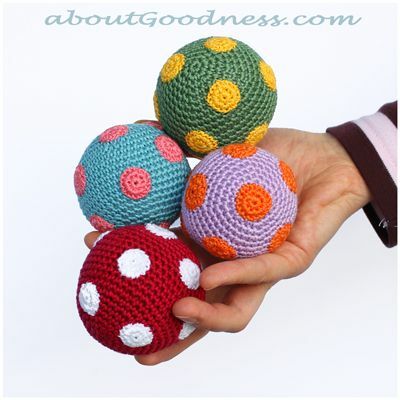 After making my first amigurumi, I improvise a way to make crochet balls. ( Sorry. There are errors in the tutorial. 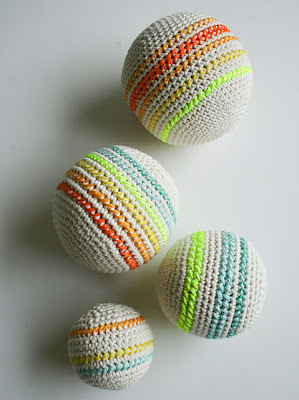 For the filling the crochet balls I used a filler a old cushion that I have at home. but my tutorial it works very well and is what I understand best. I hope you find it useful if you want to make Christmas decorations. You like? I hope you enjoy with this craft! you can give your friends like a beautiful keychain! Thanks for visit me in my world of wool! Excuse me . The first tutorial, rond, 6, 7, 8, all the same. One sc in each sc , not increase. Sorry my bad english. Kisses. Thank you for the tutorial. Oh, thank you! I did it so fast I was wrong! I appreciate very much your comment!